Gramophone selected our symphony as its first-ever international Orchestra of the Year. 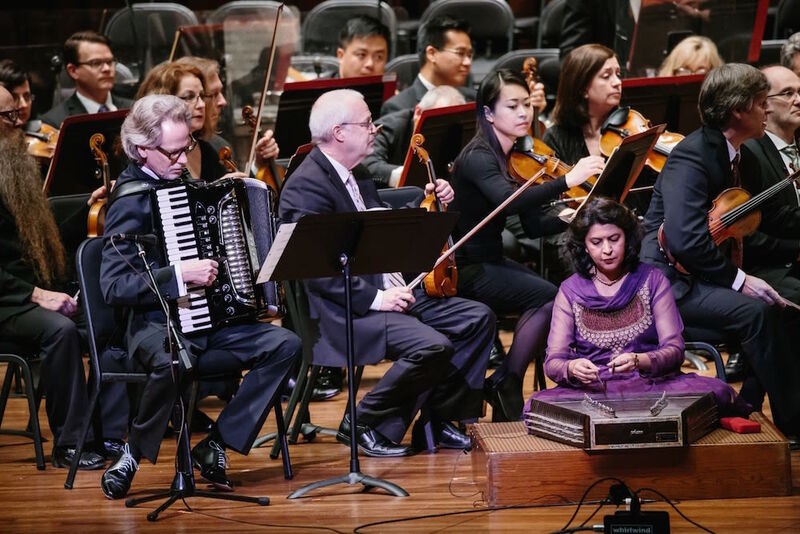 Back in June, the Seattle Symphony was announced as the only non-European nominee for Gramophone magazine’s inaugural Orchestra of the Year Award. And then, at the award ceremony in the Grand Connaught Rooms in London, in a bit of news that deserves a lauded orchestra behind it, Seattle Symphony took the award. Finalists were chosen based on recordings made between June 2017 and May 2018. Our orchestra was up against Bavarian Radio Symphony Orchestra, Chamber Orchestra of Europe, Freiburg Baroque Orchestra, London Symphony Orchestra, Il Pomo d’Oro, Les Siècles, and Vienna Symphony Orchestra. Listeners then got to vote for the orchestra that "they believe has made an exceptional contribution to recorded music," said a press release. "This 115-year-old ensemble," read Gramophone's nomination, "is back making recordings (usually based on live performances) and is sounding superb. Ludovic Morlot (2011–19) has focused on French repertoire including Messiaen and Dutilleux — with a rewarding side-step towards Charles Ives — while the ensemble’s Music Director Designate Thomas Dausgaard has taken them into other underexplored areas of the repertoire." Apparently the love out there is strong for our orchestra because Seattle took a whopping 47 percent of the vote, becoming Gramophone’s first ever Orchestra of the Year. If you weren’t already planning to attend this season’s opening night concert and gala on Saturday, you might want make haste for the remaining tickets, or at least spend the weekend with a few of these esteemed recordings.